Use your mouse to click on objects and locations on the screen, solve puzzles, shoot stuff and more, please make monkey go happy. A lovely monkey is somehow a little under the weather, he is even going to shed a tear, you have to please the monkey whatever he is asking for, just satisfy him and make him happy to laugh. Monkey Go Happy is a skill and puzzle game, available on www.bestgames.pk, for your spare time entertainment and relaxing. Good luck! Rapunzel and Flynn have a beautiful family. 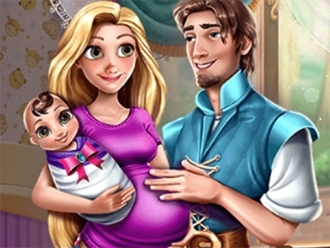 The lovely couple have a baby boy and Rapunzel is expecting her second child. Let's spend our day with this happy family and help Rapunzel decide what to wear for today. We also need to help the parents decorate the baby s room and choose lovely furniture and decorative items. You will do a wonderful jab and Rapunzel and Flynn will be very happy. Enjoy!